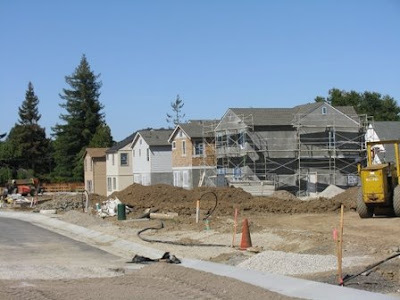 The popularity of the Cupertino school district and Fremont school district has priced out many potential home buyers who wanted to buy a home in the neighborhoods with strong schools. Even now when home prices are falling across Bay Area, Cupertino homes are still not affordable and there are not foreclosure homes in Cupertino. There is hope, not every home buyers is aware that attendance area of desirable Cupertino school district (elementary and middle schools) and boundaries of Fremont High school district (high schools) includes not only the city of Cupertino, but parts of West San Jose, Sunnyvale, Saratoga, Santa Clara, and Los Altos. One of the approaches would be to include in the home search range not only Cupertino zip code 95014, but Sunnyvale zip code 94087, San Jose zip code 95129 and 95117, Santa Clara zip code 95050 and 95051. For detailed district borders one should check with school districts maps. One more way to get to Cupertino high schools is to buy house in the attendance area of best Sunnyvale school district elementary and middle schools, but with the high schools in Fremont High school district. 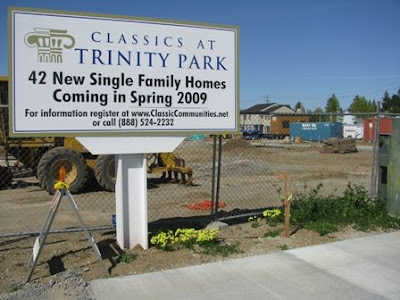 Trinity Park by Classic Communities is wonderful example of new homes located outside of Cupertino city borders, with Cherry Chase Elementary and Sunnyvale middle schools, but grown up students would attend Homestead High School in Cupertino. Trinity Park Sunnyvale is community of 42 new single family homes located in the residential area of south Sunnyvale at the northwest corner of W Fremont Avenue and Pome Avenue on the 4.4 acre parcel previously occupied by Trinity Baptist Church of Sunnyvale and two single family homes. 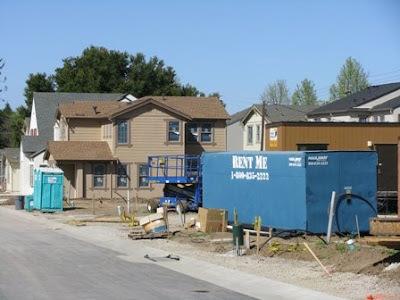 The three and four bedroom new homes of Trinity Park Sunnyvale have six different plans and range from 1650 to 2500 square feet; all homes have two car garages and lots of up to 5000 square feet. The nearby twenty years old homes could be called California million dollar homes, and there were several home sales recently with seven digit numbers. Trinity Park new homes approximately priced right now from $850,000 to $1,200,000 and should be a bargain. The residents of Trinity Park would have an easy access to highways 85 and 280, although during morning commute ours it would be hard to reach 101 or 237 highway via parking lot on northbound 85. There are several shopping areas nearby like Smart & Final on Mary avenue (0.5 miles), Safeway on Hollenbeck Ave (1.1 miles), Trader Joe's on Sunnyvale Saratoga road (1.8 miles), Target and Marina Food on Stevens Creek Blvd (3.0 miles), Whole Foods Market on Stevens Creek Blvd (3.0 miles). The city of Sunnyvale tries to catch with Mountain View and Palo Alto by rebuilding downtown Sunnyvale (2.2 miles) as a traditional downtown to make it pedestrian-friendly central place for shopping, working, living and entertainment, but unfortunately last week construction on the huge Sunnyvale Town Center has halted while developers of the $750 million downtown project seek further financing. Based on California's academic performance index, Cherry Chase Elementary with API 920 is the top elementary school in Sunnyvale school district and located just in 1.5 miles from Trinity Park Sunnyvale. Middle school for the community is Sunnyvale middle school has API 822 and located even close - just 1.1 mile. Next block private Challenger school at 1185 Hollenbeck Ave in Sunnyvale offers education from preschool through eighth grade and could be an alternative for Sunnyvale public schools. Homestead High School (API score 846) located also within walking distance from Trinity Park. Apple co-founders, Steve Jobs and Steve Wozniak attended this high school. Trinity Park by Classic Communities sales office expected to be open this spring.